There have been many documentaries about Muhammad Ali, but none are quite like this. 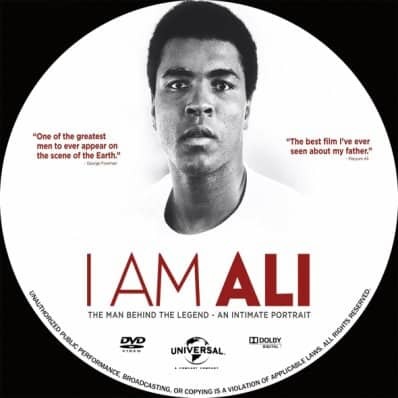 It’s up close and personal, with the entire film centered around the tapes Ali recorded of conversations he had with his children from the time they were able to talk. Many of these children talk to us again as adults, and Ali’s facade is finally revealed. The fact is, there isn’t one. What we saw is what they got. He really is the real deal. All the Ali children have something glorious to say about their adoring Dad and, surprisingly, so does one of his ex-wives, despite being the victim of his philandering ways. We also learn that the performance Ali gave to the public was the same performance he gave to his family. He fed off the energy of an attentive audience, whoever they were, and simply loved to entertain. Ali’s boxing career is, of course, included, and there’s some interesting footage of his historic world championship fight with George Foreman, which showed Ali delivering a killer right hook, sending Foreman falling to the canvas. As he fell, Ali was in a perfect position to deliver a final blow to ensure that his opponent never got back up, but Ali let him fall, untouched. Later, Ali’s manager asked why he didn’t “finish him off” and Ali replied that “he’d had enough.” So here was a world heavyweight champion with no killer instinct, which is a conundrum in itself. We get to meet Ali’s parents and brother, and it is his sibling who fills us in on Ali’s first foray into boxing. Apparently, Ali decided it would be a good idea for his brother to throw rocks at Ali’s head, and Ali would have to dodge out of the way or face possible death. As crazy as this idea sounds, this is just what the two brothers did, which goes some way to explain how the world ended up with a heavyweight pugilist, light-footed enough to dance around the ring, confounding his trundling opponents with every step. The only disappointing part about this film is that it hasn’t done well at the Box Office and, only a few weeks after its release, it is already on DVD. Could it really be that the public have already forgotten the super-celebrity who floated and stung, and who was the first rap artist the world ever heard? If that’s the case, then it’s the public’s loss, as they will never know the truth about the man who would be king. Yes, really, there’s a part in the movie about Ali’s attempt to become a king. So go see!